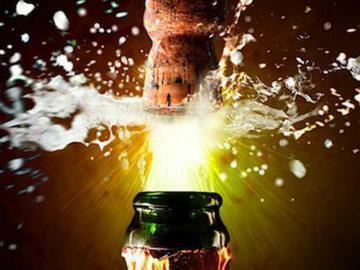 PGC'S BLOW YOUR CORK NYE CELEBRATION!!! ONLINE TICKETS FOR TONIGHT ARE SOLD OUT….TICKETS ARE AVAILABLE AT THE DOOR!!!! HAPPY NEW YEAR FROM PGC!!!!! PGC is saying goodbye to 2018 and welcoming in the 2019 New Year and all previous, current and new members are invited to celebrate with us at PGC's 13th Annual New Years Eve Celebration...THE HOTTEST NYE PARTY ON THE EAST COAST AT THE HOTTEST LIFESTYLE CLUB ON THE EAST COAST.....Where else would you BLOW YOUR CORK? Please get your tickets early as they sell out early every year since tickets are limited and must be pre ordered ( I will hold very few tickets at the door for email requests only!!! Don't miss out! THIS EVENT IS SEMI-FORMAL TO FORMAL. SORRY NO JEANS OR T-SHIRTS. DRESS TO IMPRESS ONLY! AFTER MIDNIGHT YOU ARE WELCOME TO CHANGE OR DARE TO BARE! We will be having a Midnight Toast w/ champagne, Full Dinner Buffet and lots of other NYE suprises so no need to spend tons of money on drinks and food, we are a BYOB nightclub........ Full menu and champagne toast are included in your entry fee!!!! NO UNUSED TICKETS WILL BE ACCEPTED FOR THIS EVENT!!! !